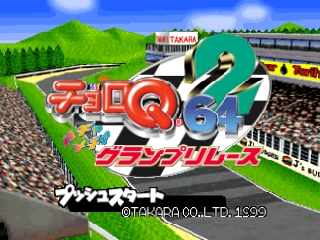 Choro Q 64 2: Hacha Mecha Grand Prix Race is a racing game for the Nintendo 64. 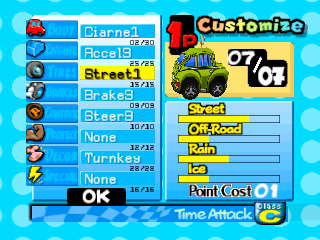 Those would be the last words anyone would utter, Penny Racers being a somewhat forgettable and overall average game. The same cannot be said sequel for its sequel. Only released in Japan, it was even less remarkable than its predecessor. 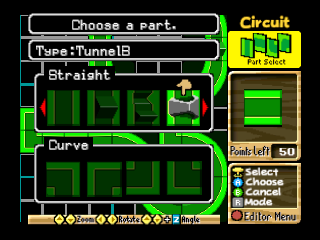 Its lack of depth and features does make it quick and simple to localize however, and you will now be able to enjoy some temporary amusement playing the title with a patch applying USA English. Additional details on saving, transfer pak support, and other features are available in the readme.